My friend Heather is well known as the person who does just about everything in our school district. She's amazing at work, and to top it off, she's a spectacular cook! 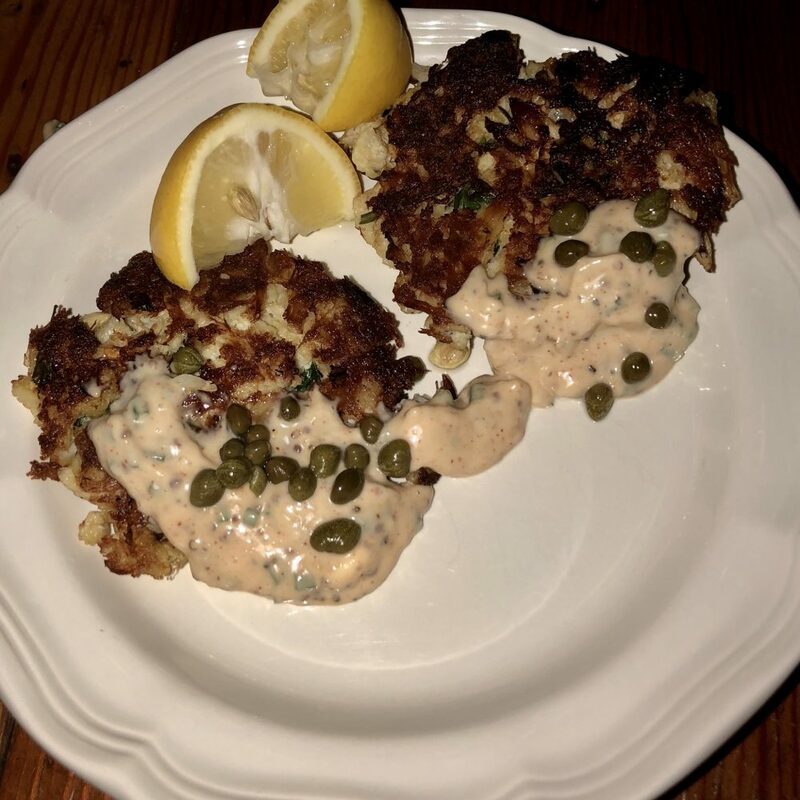 This is one of her favorite recipes, and now that she's shared it, it's one of mine too. 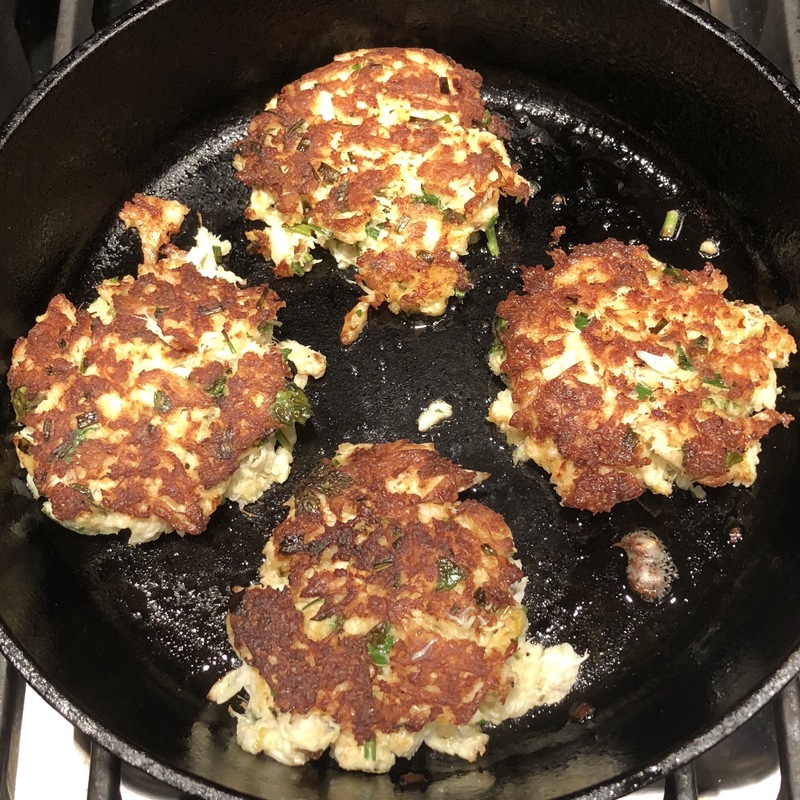 It's adapted from a Cooking Light recipe, and it is flat out awesome! 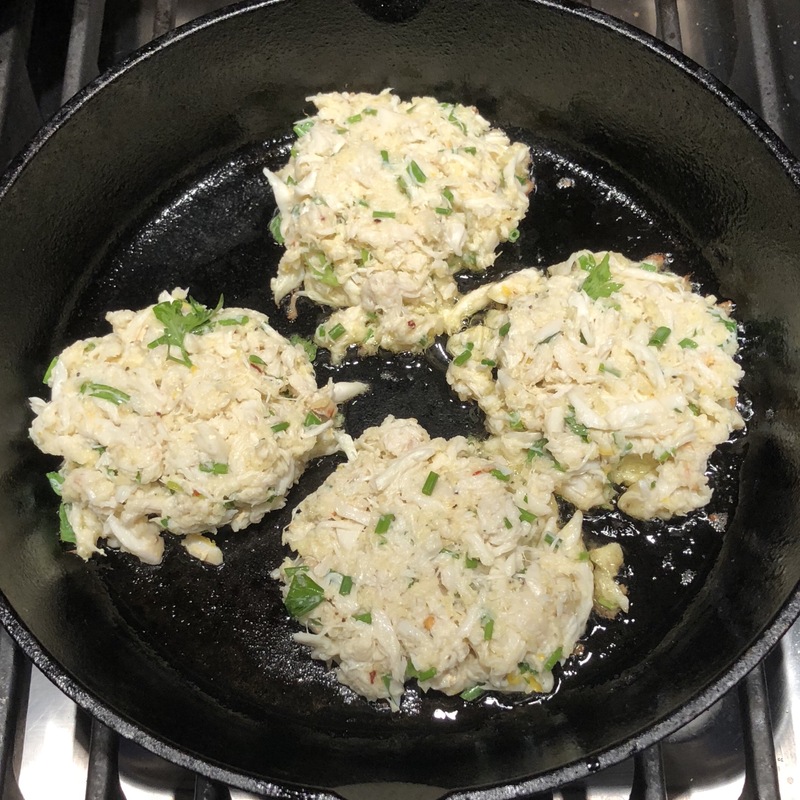 1Mix together everything except the crab and the bread crumbs. 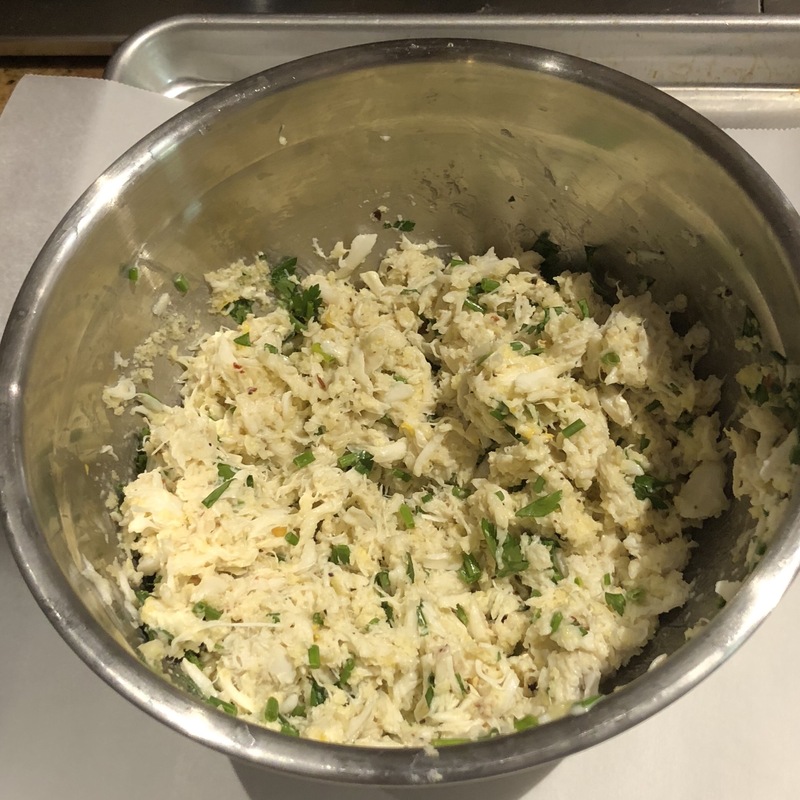 2Add the crab and bread crumbs, mix together and set in the fridge for one hour. 3While you are waiting . . . 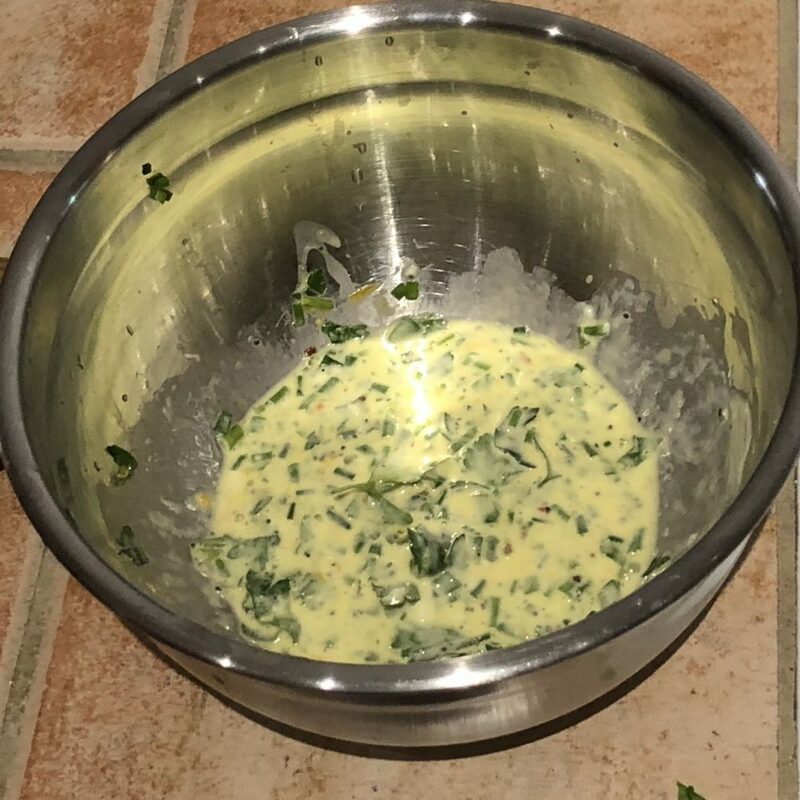 Mix all Spicy Mayo ingredients together. 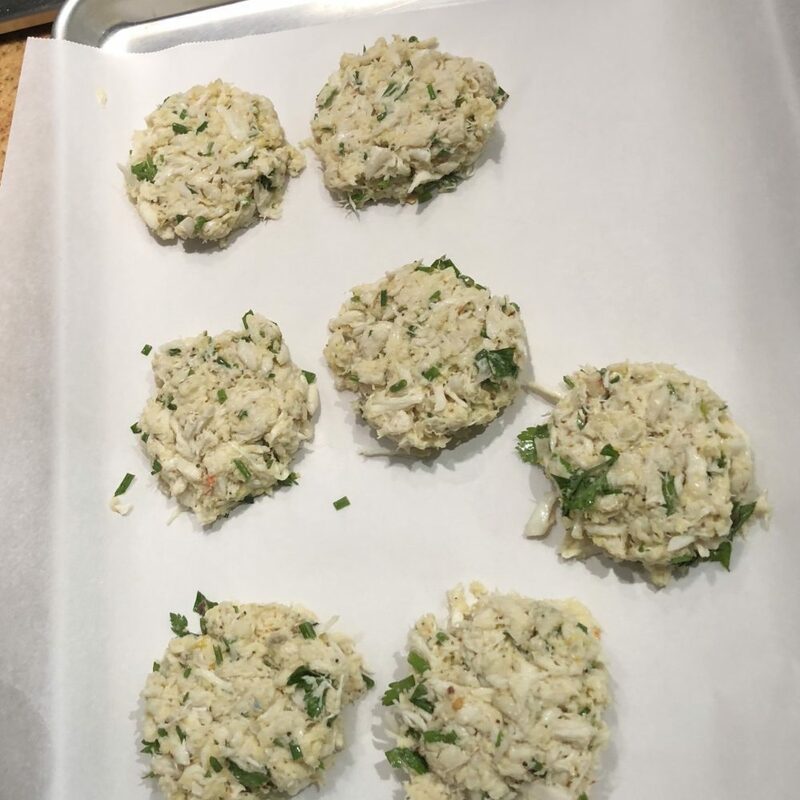 4Use a 1/3 cup measure, scoop out crab cakes onto plate or parchment paper. 5Press out flat, then place in frying pan with just a little bit of olive/canola oil mix - 1/2 Tbsp. Sauté for 4 minutes. 6Flip over and sauté another four minutes until golden brown. 7Serve with lemon wedges and spicy mayo and enjoy!